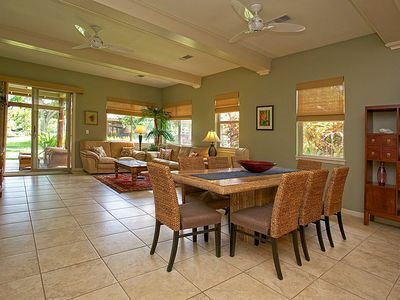 Our villa was refurnished last year, in a casual tropical island theme. 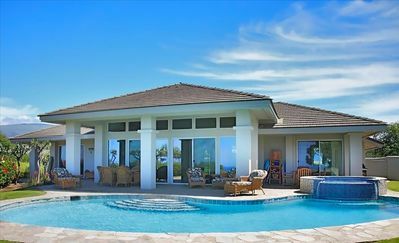 This is our second vacation villa in the beautiful Waikoloa Beach Resort. 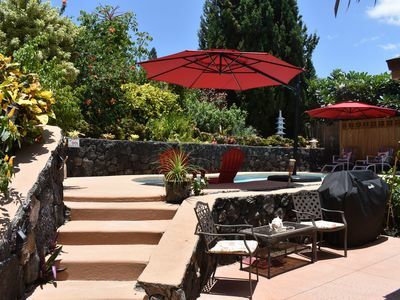 This new villa is ideally located, just steps away from the pool, fitness center and spa. 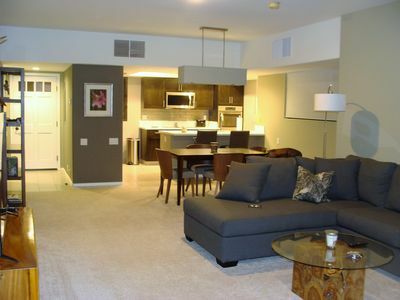 We furnish free wireless Internet, 3 flat screen TVs, and a Blue Ray Player. 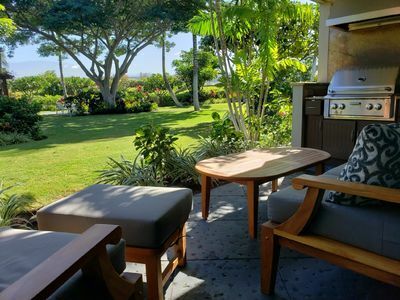 Grill fresh fish right on the lanai with our Viking Gas BBQ Grill, and enjoy fruit and vegetables from Kona's Farmers' Market in our well-equipped kitchen. 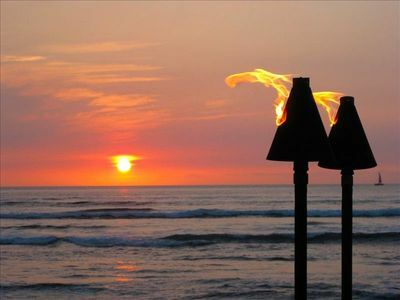 Or if your idea of vacation cooking is simply brewing a cup of famous Kona coffee, then many world-class local restaurants await you. 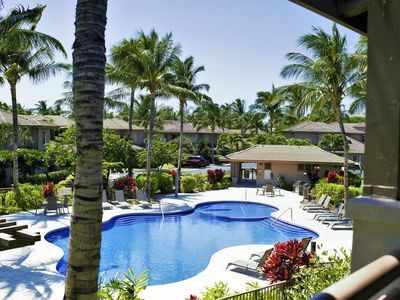 Waikoloa Beach Villas is a private, gated complex in the exclusive Waikoloa Beach Resort. 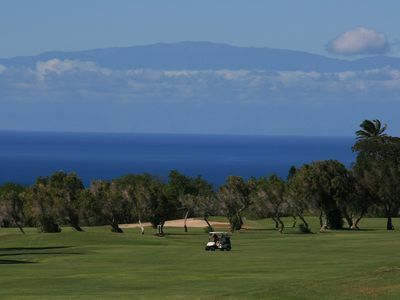 It is on Hawaii's Kohala Coast with the Big Island's best beaches and weather. 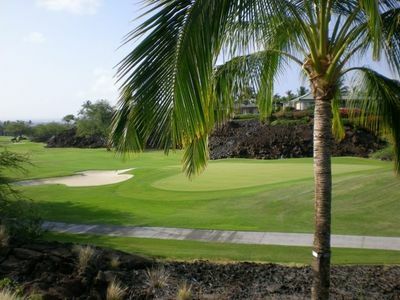 It is set among 20 acres of tropical landscaping and palm trees, and is right next to the Waikoloa Beach Golf Course. 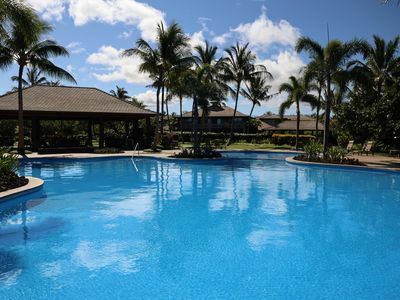 You can also work out in the fitness center, or relax at the one of the two tropical pools. 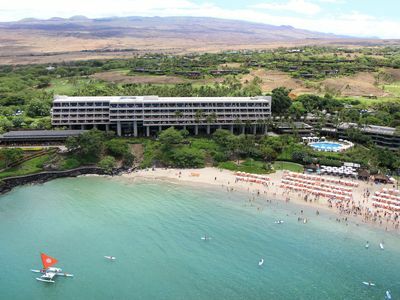 Waikoloa Beach Resort is a destination resort centrally located on the Kohala Coast, 18 miles from the Kona Airport. 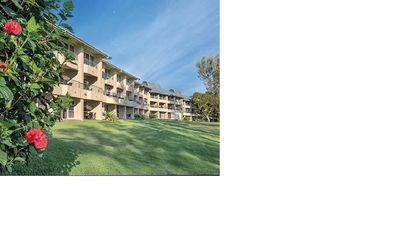 It is designed around beautiful, palm-studded A Bay, two terrific golf courses, the Kings’ Shops & Queens’ Marketplace with many restaurants including Roys, Merrimans, a food court, shops, and two gourmet grocery stores. 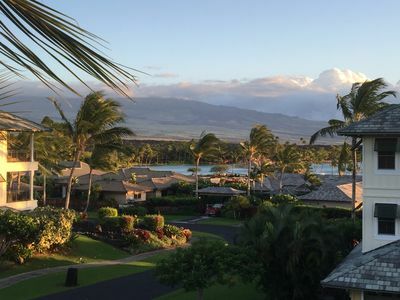 At Waikoloa Beach Resort, the crescent-shaped A Bay offers a pristine sandy beach with sports activities and rentals, shoreline paths, a giant turtle refuge and ancient royal fishponds, all just 5 minutes away. 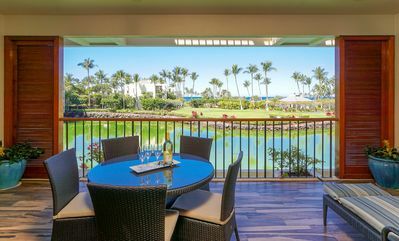 Nearby at the Waikoloa Hilton, you can enjoy several world class restaurants, or at the world-famous Dolphin Quest you can swim with friendly dolphins. Next to the Kings' Shops, explore Puako Petroglyph Archaeological Preserve with fascinating free tours. Hike or ride a horse to breathtaking hidden waterfalls or fly over the waterfalls and volcanoes by helicopter, leaving from the helipad 5 minutes away. Snorkel, swim, sport fish, or go on a day trip to see the volcano, lava caves, or the world's only zoo in a tropical rain forest. 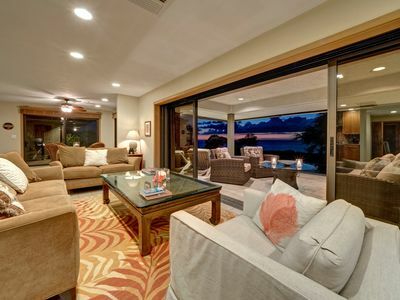 Or just relax on palm-fringed beaches or your own lanai. You will create memories to last a lifetime in this tropical paradise. 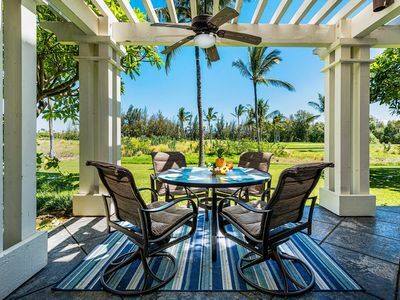 Please be sure to check out our other VRBO listings at the WAIKOLOA COLONY VILLAS, VRBO Listing #334360, and our newest listing, VRBO #451073. 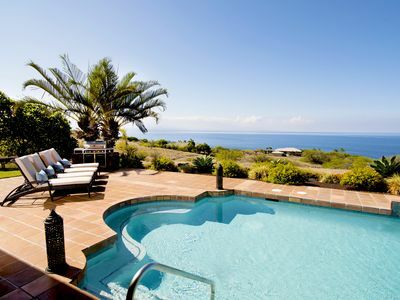 Palm Villa - Affordable Luxury Just Waiting for You - Ask About Special Rates! Luxury Pool Side Villa with built in BBQ. Privacy and Class. FV G-1---Expansive Light Filled Interior. Fabulous Golf Course View---Ahhh! 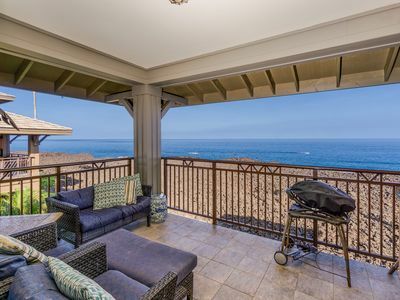 🌴 Sophisticated Kolea 11C Penthouse w Spectacular Ocean Views! ⛱ May $310/nt! 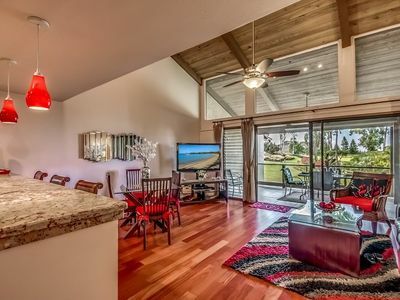 Completely Renovated, Ocean View Unit located right on the Waikoloa Golf Course!